I am very pleased to announce that I have become a patron of the children's charity, Smile For Life. Smile For Life Children’s Charity aims to make a real difference to the lives of disadvantaged and disabled children. Working in the North East of England their vision is to put a smile on the face of every disabled and disadvantaged child. They aim to empower these children and young people to achieve their potential to live a full and happy life. 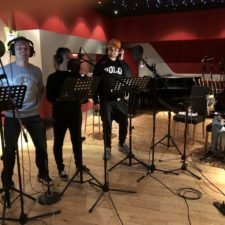 Since appearing at their Smile For A Night variety show at the Tyne Theatre a few years ago, I have become very good friends with the charity. So it was an honour when they asked me to become a patron for them. It really is a charity close to my heart because I always got the best support from my family, friends and everyone else when I was growing up.....and I seem to have turned out alright! So I hope to help the charity give the same opportunities that I had to other young people as well. I can't wait to get started working together with such a wonderful team! 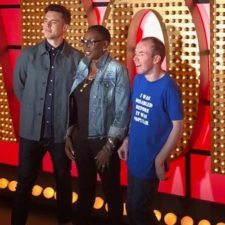 A north east comedian who cannot speak hopes to help disabled youngsters find their voice through comedy. 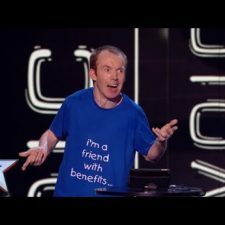 Lee Ridley, known to many as The Lost Voice Guy, is one of the region’s biggest comedy exports most recently landing a BBC Radio 4 show called Ability and was named as the BBC New Comedy award winner in 2014. 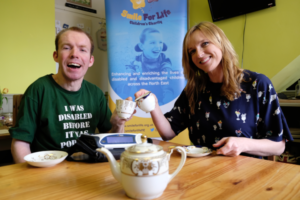 Geordie Lee, who has Cerebral Palsy and communicates through an electronic device, has just been appointed as patron for north east children’s charity Smile For Life, and hopes to show others that disability should not be an obstacle to success. 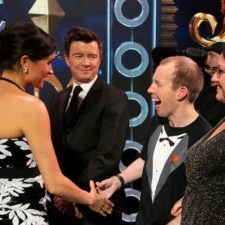 The 36-year-old wants to use his role as patron to get more disabled young people involved in comedy and performing and can’t wait to get stuck in. Lee attended Percy Hedley school in Newcastle with Paralympian and good friend Stephen Miller, who has also worked with Smile For Life by hosting sporting events for disabled students. 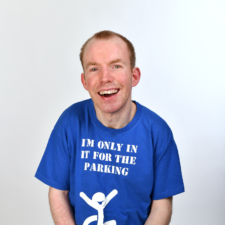 As well as running comedy workshops for Smile For Life, the comedian from Consett hopes to dispel some of the stigma surrounding disability through public speaking. 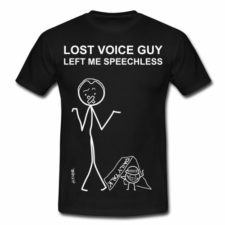 He added: “I am good at giving motivational speeches so that could be something that I could do with the charity. I get asked to do them quite a lot so I must be doing something right! “I do think that the stigma surrounding disability has changed a lot thanks to the Paralympics and programmes like The Last Leg on Channel 4. It’s a good programme, they asked me on the first series but didn’t give me enough notice so I couldn’t make it. 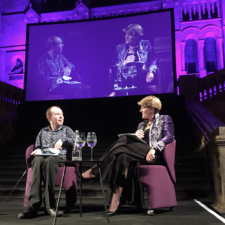 Paula Gascoigne, Chief Executive for Smile For Life Children’s Charity, believes that Lee will be a fantastic inspiration to so many disabled children and young people.